Oneir Solutions not only worked well, it was affordable. Oneir Solutions is a big business solution for Black’s Fashions at a small business price. One thing’s for sure at the family-owned Black’s Fashions and Kerv’s Ladies Wear Stores in New Brunswick, you can be assured of a good fit – in more ways than one. Based in the town of Sussex, the Black family has been in the business since 1968 and runs three stores in town and two others some 60 miles away. Out front at each location, a very helpful staff including a professional seamstress ensures that whoever buys the classic ladies apparel and accessories from a wide range of colors and sizes within walks out with a perfect fit. Meanwhile running at every check-out counter in every store and in Black’s back office at the main store is what’s proving to be another perfect fit – Oneir Solutions Point of Sale POS Software, Inventory Management System, and Business Accounting Software. “We’re very happy both with the product and with the kind of support for it that we have received,” says Kevin Black who manages the firm. “…it allows you to look at your bottom line anytime you want and to reassure yourself that your normal routines are being followed. 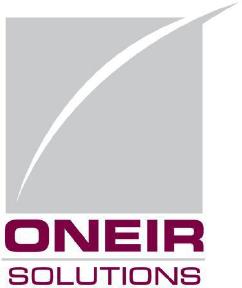 Under steady refinement for more than 20 years, the software used as the model for Oneir Solutions’ Point of Sale POS Software, Inventory Management System and full-featured Accounting was originally based on the DOS operating system. Although, to this day, more than 11,000 small and medium-sized businesses around the world are managing their financial affairs using this DOS-based software, Oneir’s founders wanted a more technologically advanced development platform. They wanted to have the rock-steady reliability, place little demand on computer memory and other resources, and make it an appealing and appropriate system for many different operations. Oneir Solutions’ research into what the Linux operating system might do for financial software proved to be compelling. That new ability to keep your finger on the financial pulse of even your far-flung locations was immediately appealing to the likes of Kevin Black. As a result, Black’s Fashions was among the early adopters of the new Linux-based Oneir Solution. Owner-operators such as Black can have real-time access to their inventories, check on the sales performances not only of their various locations but even of individual employees, monitor cash flow, and even delve into customer relationship data being compiled by each store – all remotely. That ability is thanks in very large part to the Linux server running in the back office of a chain or multiple-store owner’s main location. It is doing almost all of the work. All the other computers connected with it at all the other locations are Windows-based computers that are not much more than data entry, display, and retrieval points. So there’s no need for expensive, complicated, likely-to-freeze-up hardware out at the remote locations. Consequently, the financial software running on the server and handling the incoming and outgoing data is both highly nimble and stable. Black says the sheer convenience now of his Inventory Control is also very comforting. Such solid control, indeed, that it has Kevin Black thinking about expanding the family business perhaps even into other industries. Black says he can think about expansion partly because Oneir Solutions is relatively easy to learn by any new user. He does admit that, as with any new system, there has been a “learning curve” experienced by the 30 employees who now can operate its features. But it has been mercifully short and not very steep. In short, it was a perfect fit for her too.